हैलोवीन. . HD Wallpaper and background images in the Michael Myers club tagged: halloween michael myers horror movies freddy vs jason vs micheal. 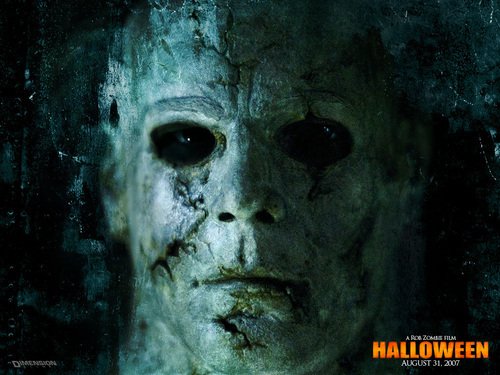 MICHEAL MYERS IS AWSUM GO TO YOUTUBE AND SEARCH MICHEAL MYERS AND HIS SISTER HE KISSES HER CAN YOU BELEVE IT OMFG!!!! He had a mask on!!! Does she really die? Awwwww..... but I thought she cut his head off with an ax!!! First it was H20, she decapitates Michael, Halloween Resurrection was filmed four years later, she died in that movie.